Elisabeth Rhyne more popularly known as Beth, is Managing Director of the Center for Financial Inclusion at ACCION International, a research and action center for collaboration among the microfinance industry and private sector on challenges confronting the microfinance industry. The Center spearheads the Smart Campaign for Client Protection in microfinance. Beth works to bring together microfinance leaders and private sector experts to address challenges facing the microfinance industry. She holds a Master’s and Ph.D. in public policy from Harvard University and a Bachelor’s degree from Stanford University. Beth has written extensively on microfinance. She has published numerous articles and books on microfinance including Microfinance for Bankers and Investors, Mainstreaming Microfinance etc. She co-edited The New World of Microenterprise Finance, which provided the introduction to microfinance for many of the field’s current professionals. 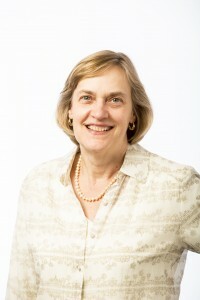 Beth was formerly director of the Office of Microenterprise Development at the U.S. Agency for International Development (USAID) from 1994-98, where she developed and led the Microenterprise Initiative. Earlier as senior vice president of ACCION International from 2000-2008, Beth led ACCION’s initial entry into Africa and India and directed the organization’s research efforts to develop new financial products. Surabhi: Your association with microfinance industry started in the 1980s. Over these years your contribution to the industry is remarkable, what made you choose microfinance as a career? lending and there were very few successful models. I got involved because I wanted to work in economic development. I was working with USAID in Kenya. I was present when Women’s World Banking in Kenya made their very first loan. 1985-1995 was when we built microfinance into an industry, as experiments in different places took off. Organizations really started to learn from each other. USAID’s Office of Microenterprise Development played an important role in letting people in different countries share information about each other, and it helped to create a global industry as opposed to individual experiments. Real innovation happens in the field, the real heroes are people like Ela Bhatt who have worked at ground level. I think my main contribution has been in helping build the global industry. That includes knowledge exchange,distilling best practices, introducing important players to each other, and singling out those organizations that had their act together to give them funding so they could grow. Surabhi: Smart Campaign, one of your initiatives, is a big step towards making the microfinance industry smarter towards its customers. What was the genesis of the idea, and have the campaign’s mission and goals been accomplished? Or is there a long way to go? Beth: In the late 1990’s and early 2000’s the microfinance industry was going through a complicated transition toward commercialization. That was the time I moved from USAID to Accion. Accion has always been a leading proponent of the commercialization of micro finance and I, too, have been a part of the process. In order to reach a lot of people you need to commercialize, but a purely commercial approach has to be tempered by standards to protect clients. The Smart Campaign came about through many conversations with leaders in the industry and has really taken off in terms of global recognition and commitment. I am very happy to see this. Ujjivan, was one of the early proponents. Samit was one of the original members of the Smart Campaign Steering Committee, and I appreciate him for taking the time to contribute to the global movement. There are 22 certified institution as of today, covering 8 million customers. Surabhi: The Financial Inclusion 2020 Global Forum, organized by your center, was a landmark event for expanding global financial inclusion. Can the world achieve Global Financial Inclusion by 2020? Beth: The number of people who are being reached with some sort of formal financial service is growing fast. There is a lot of momentum around the world. At this point, Financial Inclusion 2020 is more focused on quality. Realistically, I do not think full financial inclusion is possible by 2020, but I do believe that touching everyone with at least some financial service is possible by 2020. Surabhi: You have many books and publications in your name like Microfinance for Bankers and Investors, Mainstreaming Microfinance, The Commercialization of Microfinance, and The New World of Microenterprise Finance. Your books have changed the way the world looks at microfinance. What was the inspiration behind writing? Beth: Most books I have written have been collaborative projects. Sitting and writing a book alone is very time consuming (although Mainstreaming Microfinance was a book I wrote alone and it is my favorite). I hope what I write changes things. The most exciting thing is when someone comes up to me and says my book has made them think about microfinance differently or launched them into working in microfinance. One piece of mine that is widely cited is an article, “The Yin and Yang of Microfinance: Reaching the Poor and Sustainability,” that I wrote about 15 years ago. It was about the polarization between people in favor of commercialization and people in favor of poverty outreach. It was an unfortunate war, because the differences were not that great. The people who were commercially focused needed to reconnect socially and those socially driven needed to learn from those focused on the bottom line. The article was a plea for the two sides to reconcile and work together. Now they largely have and the industry spends much less energy fighting with itself. I have worked to contribute to that change. Surabhi: Interest rates are a topic of concern in consumer protection. So let me ask you how much is too much? Beth: Criticism about high interest rates is always going to be a problem, because if you are making small loans it is costly to make them so naturally they have to be relatively high. This is politically difficult, and it is going to make people angry. How can we bring down rates without stopping lending to very poor segments? We have to turn to technology to do this. We are seeing interest rates come down in the industry as a whole. The global average rate is in the 30s, while it used to be in the 40s or 50s. We are heading in the right direction, but it will always be an issue politically. Interest rate caps are not the answer because usually the caps mean that lenders stop making small loans, or they don’t grow and they don’t innovate. Surabhi: How is the Indian microfinance industry different from the microfinance industries in other developing countries? Beth: India came late to micro finance and had a very rapid rise. There is an original generation of institutions like SEWA, Women’s Working Forum and SHG models, and then a newer generation, including Ujjivan, that came in with the GGLS model. Indian microfinance has been amazing at reaching scale very rapidly. One of the reasons is because it has done well with the replication of a standard model. Now, as institutions are better established, they should be focused on creating flexibility for consumers. There is tremendous room for innovation. Because India is such a rich world of its own, it often neglects to learn experience in other countries, and I wish it would look beyond its borders more often. I share the optimism emerging that after the AP setback, we have seen some really good advances, especially with the Government and RBI looking to put regulatory frameworks in place that support the evolution of the industry. It’s a work in progress but heading in the right direction. Surabhi: Any message for the people working in the Microfinance Industry? Beth: I think the attraction of microfinance as a place for people to work is the combination of being able to do something socially valuable while earning a financially secure living. There are many jobs that lack social value. Educated people will always look for more socially valuable work. Avoidance of over indebtedness and ensuring that products are appropriate: including setting up credit bureaus for microfinance. Effective Complaint Resolution: including setting up an independent ombud system – the SRO. The Smart Campaign is working with MFIN to help set up the world’s first SRO for microfinance. The Smart Campaign was not all about grim realities of microfinance. After my last meeting of the Smart Campaign (I had to reluctantly step down because of my personal commitments. But I do miss meeting my friends. 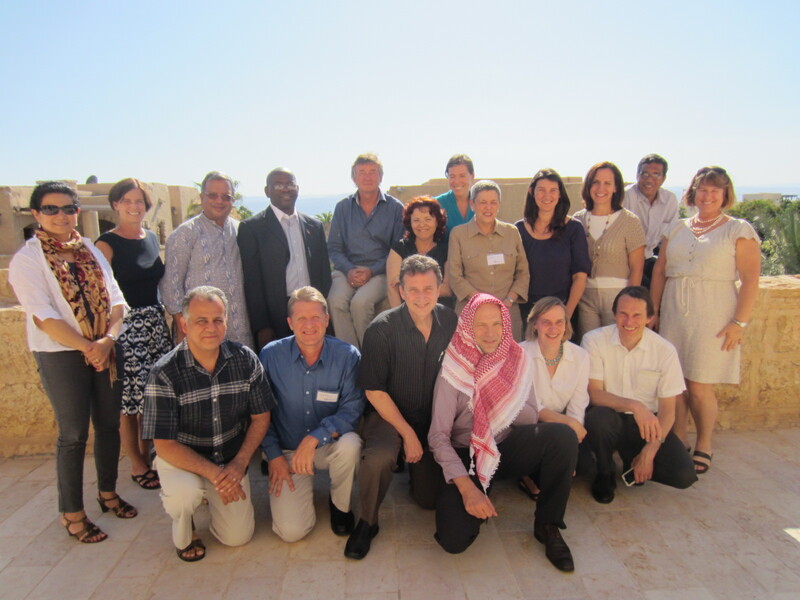 ), here is a photograph at the Dead Sea resort in Jordan. After a dip in the salty waters of the buoyant Dead Sea and a healthy mud bath, I am in the ‘Ganesha’ avatar and Beth is helping me on the rocky climb back to reality!